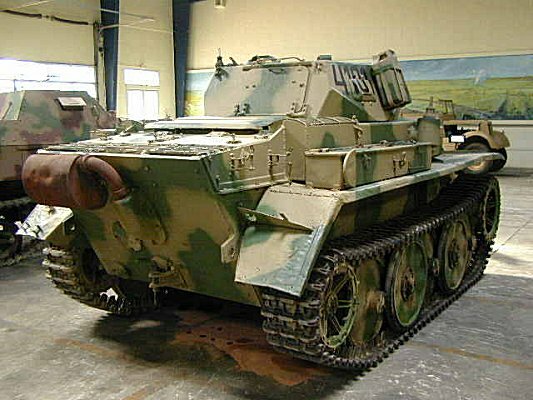 Originally designated as a tank, it was redesignated as a fully tracked reconnaissance vehicle. 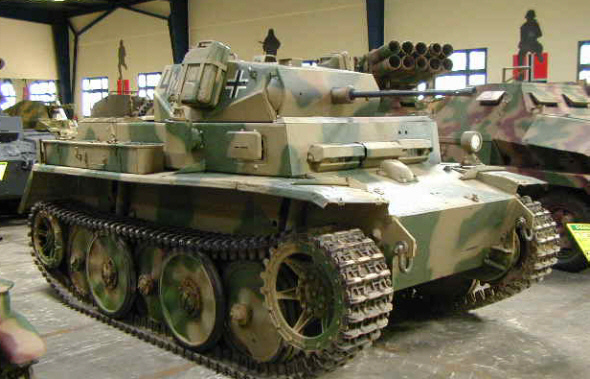 It mounted the standard Panzer II turret but without a cupola or vision ports. The suspension had 5 sets of interleaved large bogie wheels. Served on both the Eastern and Western fronts through 1945.' Only 131 were built. Only a few rare examples remained at the end of the war. 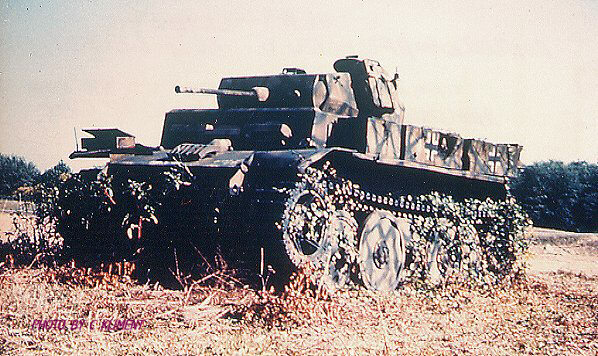 This rare photograph is a Luchs at APG just after WWII.